How Far is Kemia Paradise Beach ECR? What would it be like to wake up to the gentle rhythm of the waves and open your window to hear the melody of sea breeze? How often do you drive down to a sea side farmhouse every weekend and wished that you could live by the ocean not just for two days, but all your life? Welcome to Paradise Beach, where you can wake up to spectacular sun rises and spend your evenings on a porch overlooking a vast expanse of blue and the gentle roar of the waves along with the benefits of ozone. 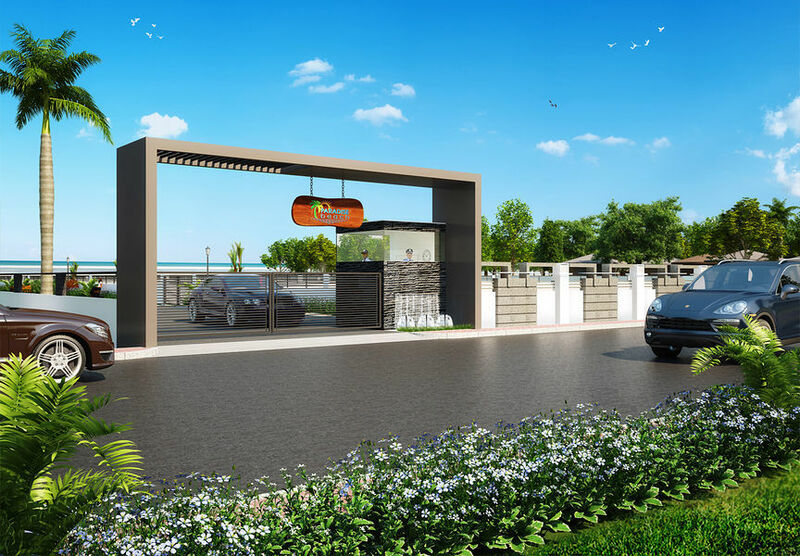 A layout of 16 quarter acre* plots in a 5 acre area, set in the picturesque East Coast Road. A grand arch welcomes you to this clearly demarcated site that cater's to a well-laid 30 feet road; walking lane with rest-benches; an exclusive compound wall to aid privacy and boasts of ground water that is potable. So, all you have to do is pick your plot and craft the house of your dreams on it! Exclusive and niche, Paradise Beach also gives you the pleasure of living amidst like-minded people. Go ahead and paint your dreams of owning a beach house by the ocean with the rich hues of your imagination. Pick out the furniture for your porch facing the ocean and get ready to drift off to sleep while listening to the gentle rhythm of the waves… because for the first time your dreams are going to come true! KEMIA Homes is the brand of KEMIA Apartments Limited (KAPL), which is part of the KEMIA Group. The combined experience of promoters, who have vast experience in real estate and construction, make every project of KEMIA embody trust and transparency. To facilitate hassle-free and worry-free investment for every home-buyer or land-buyer, all projects are constructed as per the statutory guidelines with clear titles.